The first month or so of riding the new-to-me VO Polyvalent had me switching back and forth between a number of different baggage configurations. 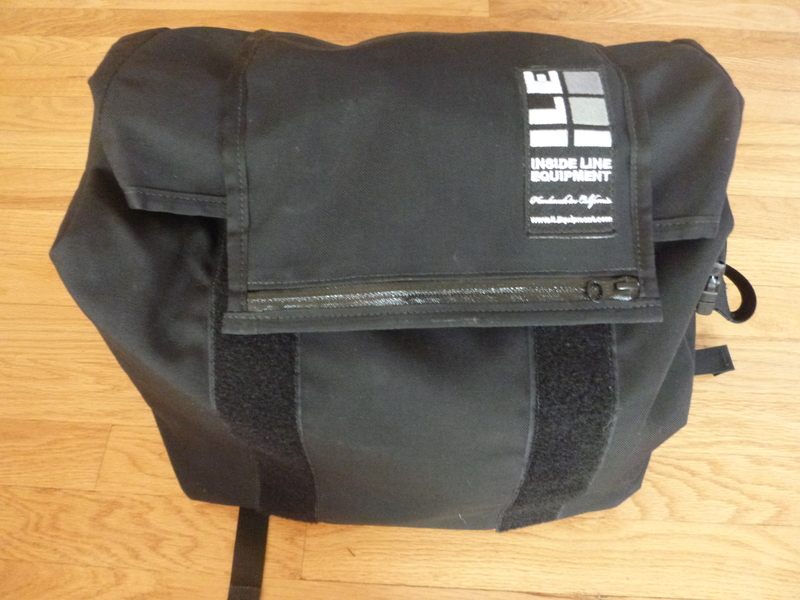 I’ve now figured out what works best for me and have decided to sell my Inline Line Equipment (ILE) Porteur bag. It’s done some daily commuting duty as well as a couple of S240 and longer camping trips. Very gently used, clean, and solid. Fits Soma, Velo Orange, Pass & Stow, and CETMA 7-rail racks. 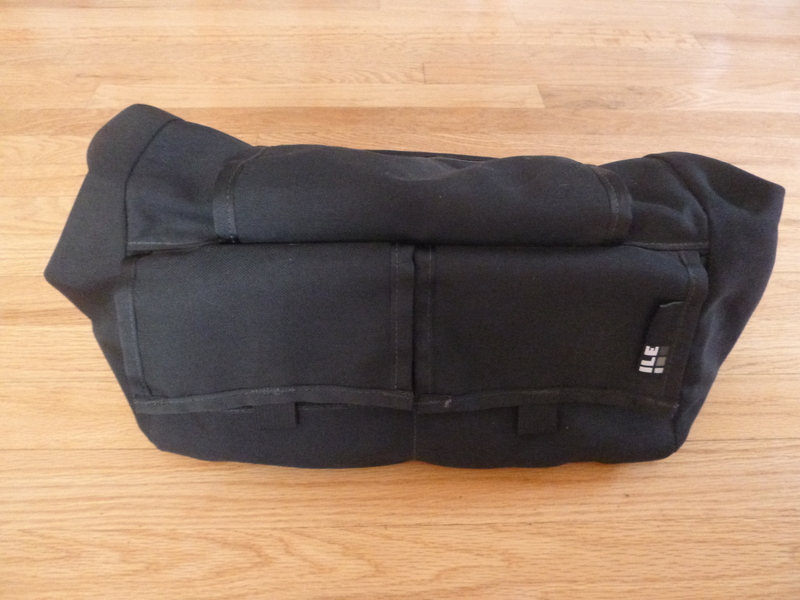 Black cordura exterior with white weatherproof vinyl interior. 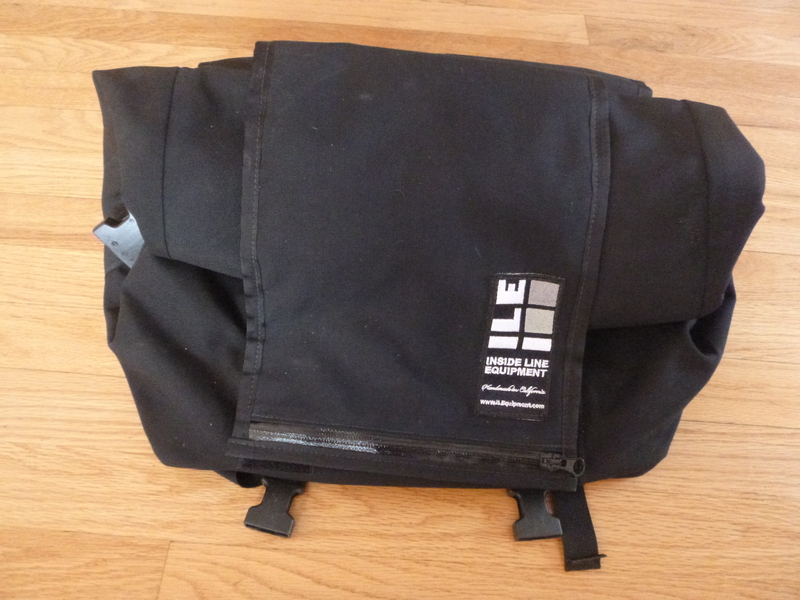 Two rear-facing pockets with velcro flap closures. Detachable shoulder strap. Tie-down extension straps (in sleeve under the flap). Zippered pocket on the top of the flap. 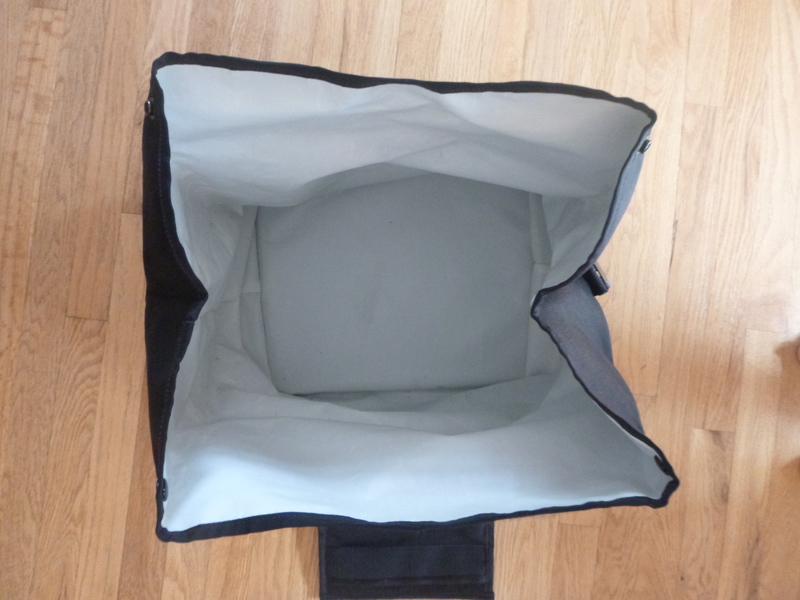 10.5x14x18″ 40+ liters of space. 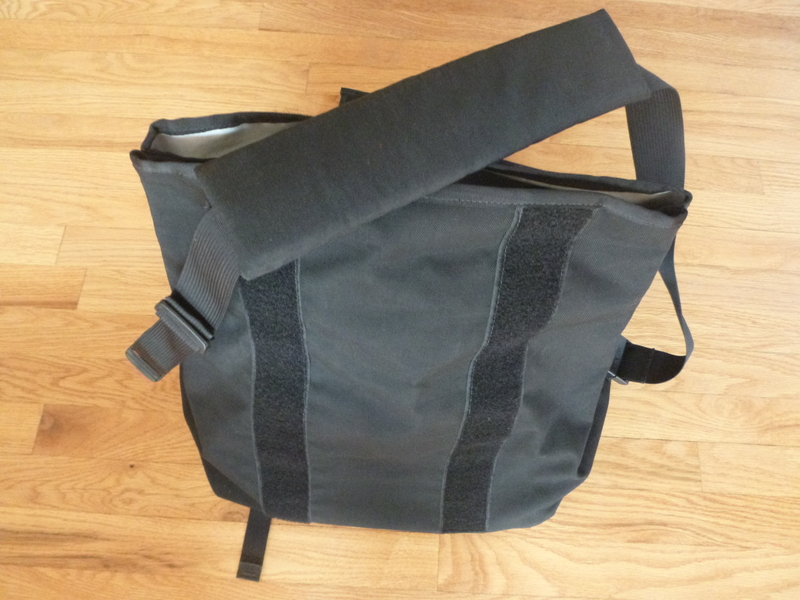 With the extension straps, you can carry an entire box of printer paper or two cases of beer, but it also rolls down to a reasonable size for daily use. Interested? Check out the eBay listing. Instead of just using this one bag, I find myself bouncing back and forth between bigger and smaller bags of various sorts depending on the needs of the moment. So this one ends up sitting in the closet more often than not, while I’m using a canvas tote or a Tom Bihn shoulder bag or an old paddling dry bag or the Ortlieb front rollers. 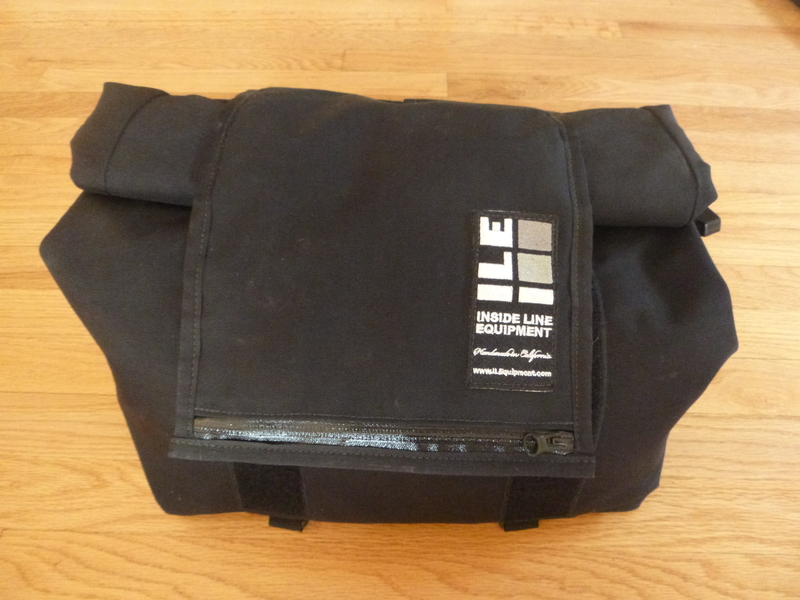 It’s a fine bag, and deserves a better home.